Dozens of twisted pro-Christopher Dorner protesters gathered outside the LA Police Department in support of Christopher Dorner, the fired police officer suspected of killing four people, including two police officers. Those that gathered said they were protesting police corruption, the way the massive manhunt for Dorner was conducted and the fiery ending of Dorner. The whacko protesters stated that they believed Dorner’s claims that he was unfairly fired from the department in 2009 as described in Dorner’s ramblings online manifesto that has been attributed to him. Because every one who writes a manifesto should be taken seriously. Can you say the Uni-bomber manifesto? Of course the fact that an individual would deal with his “so-called” wrongs perpetrated against him by killing police officers, their innocent family members and threatening other cops families seems to have been lost by the protesters. One of the protesters stated that Dorner’s rights were violated and that the police should have waited him out until he surrendered. I guess this guy wanted more police officers to die waiting out Dorner, an individual who was hell-bent on going out in a blaze of glory. It was obvious from his manifesto that he was never going to be taken alive. Also missed by many of the protesters was that Dorner was not burned to death by the police, he shot himself in the head when tear gas was lobbed into the cabin and committed suicide, rather than surrender. Wouldn’t it have been nice that these people actually showed support for the families who lost loved ones at the hands of Christopher Dorner. I guess that would have been too much to ask for from this insanoids. UPDATE I: Occupy Los Angeles Honors Cop Killer Christopher Dorner. More from Breitbart. File this one under, good riddance to bad rubbish! According to the LA Times, San Bernardino County sheriff’s officials have positively identified the charred remains found in a burned mountain cabin following the stand off with police as that of former LA police officer and murderer Christopher Dorner. Maybe this will stop the conspiracy theorist who think that Dorner faked his death like in the ending of the movie Sword Fish. Then again, maybe not. As per the official autopsy of the charred body pulled from the burned out mountain cabin where Dorner was in a stand off and gun fight with police. Christopher Dorner had murdered four individuals, including two police officers before he was taken down. Authorities have yet to release the autopsy information as to how Dorner died. San Bernardino County sheriff’s officials have positively identified the charred remains found in a mountain cabin Tuesday as being the body of Christopher Dorner. Officials said they made the identification using dental records during the autopsy. The announcement brings a formal end to the epic manhunt for Dorner, who was accused of killing four people, including two law enforcement officers. He was killed at the end of a hours-long standoff in a cabin near Big Bear on Tuesday afternoon. The man hunt and stand off with former LA police officer Christopher Dorner who went on a killing spree murdering four individuals. including two police officers, is over. The stand off ended Tuesday at a mountain cabin in Big Bear in a gun battle and fire the engulfed the cabin where Dorner barricaded himself inside. Christopher Dorner is presumed dead. Early reports from multiple sources of a body found in the cabin were said to be premature as the cabin was too hot to investigate. However, later according to the San Bernardino County Sheriff’s Office, investigators found charred human remains in the burned out cabin’s debris. Although they are considered to belong to cop killer Christopher Dorner, forensic test need to be done in order to confirm it. The LA PD and their families can rest easier today as this lunatic, hell bent on revenge and killing those he presumed responsible for his lot in life and their families is dead. Christopher Dorner won’t be down for breakfast. The manhunt for a former Los Angeles police officer suspected of going on a killing spree converged may have ended Tuesday at a mountain cabin where authorities believe he barricaded himself inside, engaged in a shootout that killed a deputy, and then never emerged as the home went up in flames. Investigators found charred human remains in the burned out cabin’s debris, according to the San Bernardino County Sheriff’s Office, which said forensic techniques would be used to try to identify the body. CBS News correspondent John Miller says two law enforcement sources tell him authorities are confident the body is that of fugitive Christopher Dorner, 33. Their confidence was based on the facts that the man who stole a truck fit Dormer’s description, that the same man was chased to the cabin, that he tossed a green smoke grenade at officers from inside the cabin and used a 50 caliber weapon to fire on them. Based on the fact that the house was surrounded and no one was seen fleeing, Miller adds, authorities feel the body is indeed that of Dorner. Fire broke out in the cabin after law enforcement made their assault on the cabin, the L.A. TImes reports that “police had broken down windows, pumped in tear gas and blasted a loud speaker urging Dorner to surrender. When they got no response, police deployed a vehicle to rip down the walls of the cabin ‘one by one, like peeling an onion,’ a law enforcement official said.” When authorities reached the last wall, they heard a single gunshot. Gunshots were later heard, likely due to the fire engulfing the cabin. Some reports presume that Dorner was burned alive. I hardly doubt it. The single gun shot was most likely a single self inflicted death blow to Dorner, favorite act of cowards everywhere when they know the gig is up. More VIDEO of events and reports on the scene. UPDATE I: From Breitbart.com, the LEFTIST Dorner supporters on Twitter cheer on the cop killer as he battles police … GO DORNER GO!!! What a bunch of sick twisted people that would support and defend the senseless murdering of innocent people. More at Twitch.com, #TeamDorner cretins root for Dorner to kill more police officers during gunfight. UNBELIEVABLE. UPDATE II: From Info Wars comes VIDEO and audio of police chatter discussing the siege of the cabin and setting the burners, code for tear gas … LAPD Audio From Dorner Siege: “Burn This Motherf*cker”. Alex Jones seems to be upset that the police “pulled a WACO” on a cop killer to silence him forever. Really dude, do you really think that this was going to end in an arrest? The delusional, conspiracy theorist best put his tinfoil hat back on. When the fire started, the cop killer could have come out of the cabin and surrender. 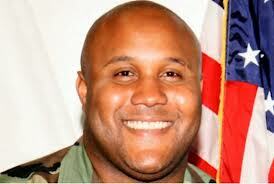 Instead, Dorner most likely committed suicide. Most likely the autopsy will show this; however, the Dorner supporters will say that is all part of the Man’s conspiracy as well. The LAPD has pulled a Waco. Barely two hours after ordering the media to remove their helicopters from the area and cut all live feeds, the LAPD managed to set fire to the cabin occupied by Christopher Dorner and burn him alive inside it, according to media reports. Mission accomplished for the LAPD, an organization that has run its manhunt more like a rampaging street gang than a professional police department. As Natural News has already documented, LAPD officers have engaged in attempted murder of innocent citizens in their freakish frenzy to try to kill Dorner. Their motive explains why LAPD officers fired tear gas into the cabin where Dorner was staying, knowing it would ignite flammable materials in the home and set the place on fire.